A case study featuring the Acuity LED 1600 shows how one printer in Germany has turned the platform into a business changing experience. 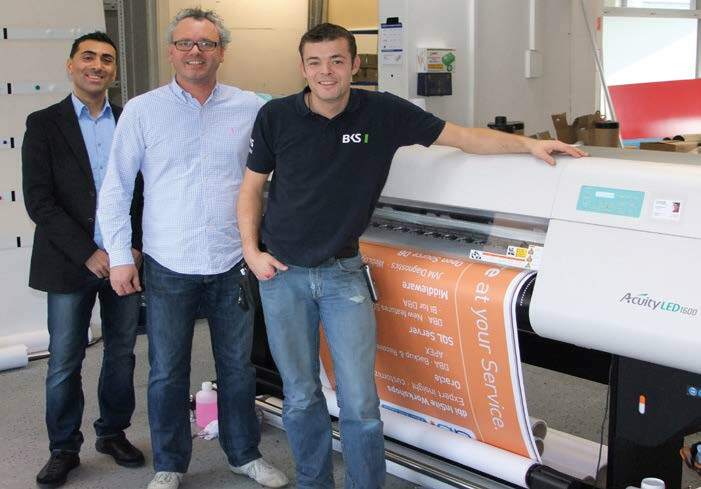 BKS Berantung Konzept und Service GMbH (BKS) located in Wiesbaden is a full service printer with a staff of 40 employees working two shifts at two different locations. Since installing their first Acuity LED 1600 in Fall 2012, BKS has added six more of the presses to their facilities. “The Acuity LED 1600 produces much finer print than other machines. We are talking about the sort of quality level of water-based inks. Even extremely small text is not a problem.” Johannes Elnain, managing director at BKS. Click Acuity LED 1600 Case Study today to receive the complete study.